Creative Holiday Chants with Body Percussion and Classroom Instruments. By Richard SD. Cross, This fun-filled and easy-to-use book offers an educational way to celebrate the holidays! Each chant presents three stepping stones to rhythmic reading: practice the spoken ostinatos first, transfer to body percussion next, and then play on classroom instruments. 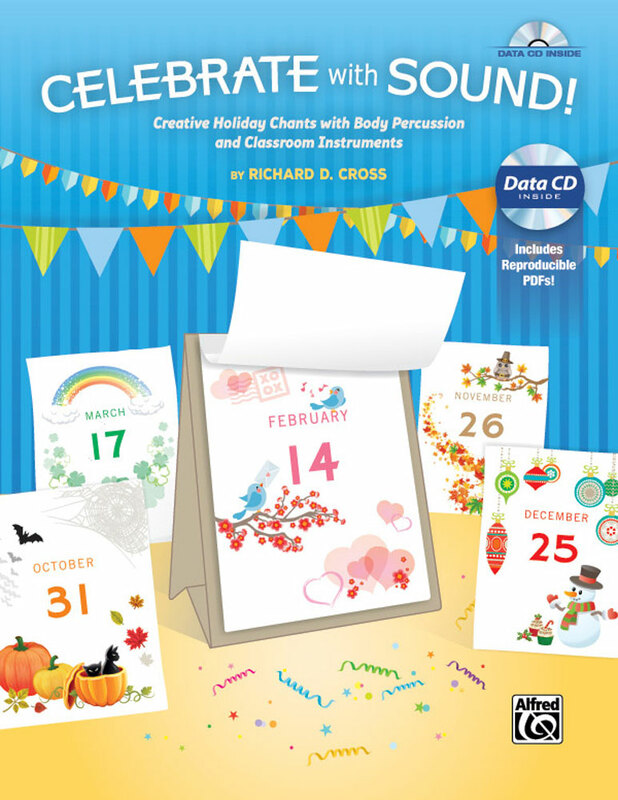 PDF files on the included Data CD make it a piece of cake to print or project the music notation in your classroom. Twenty holidays, four seasons of the year, and even a happy birthday chant are included! Recommended for grades 2 and up.